Read the experience of a smart man (Craig Mod, MacDowell Writing Fellow, 2012 TechFellow) getting his print book converted into an eBook. I stumbled across his article “Platforming Books” from a tweet by the Director of Digital Information at the Art Institute, ?@lili_czarina. It’s a rather long webpage, but the main item I would like to share is the part in the middle: “Show/Hide Ron’s Notes” where they outline the specifics (yay, specifics!) of what they did to convert the book. 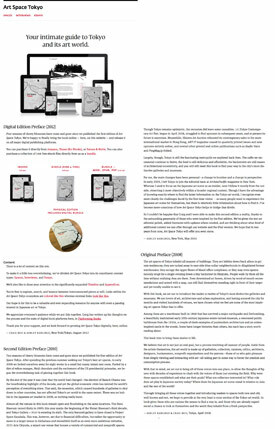 This gives a good summary of what needs to be done with converting Indesign files to ePub/mobi. Despite these challenges, at the end of the article he states the best way of making books is still to make an ePub file that works across all devices. That’s encouraging. I also agree with the posting the entire book online to gain more readers and findability. I also like their bundling pricing where they offer different formats like ePub, mobi, PDF, physical, or a bundle.